He has such a wonderful personality. He is easy going and happy-go-lucky. He basically takes whatever you throw at him! And with two young kids, trust me, he gets a lot thrown at him. Poor thing. Anyway, my oldest son has the privilege of sleeping with him all the time. 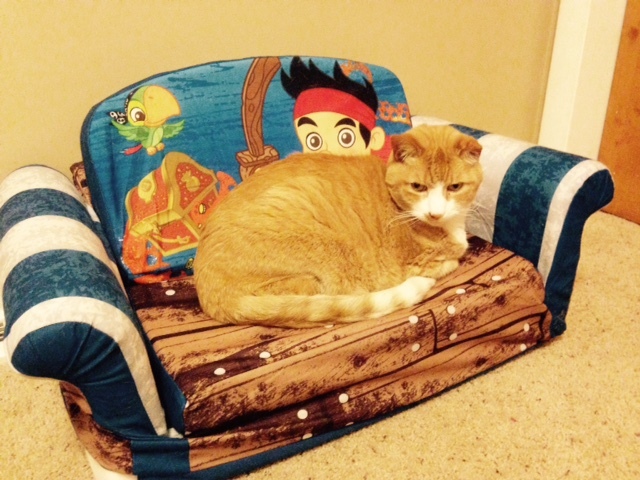 That’s right, this cat will just stay by him and cuddle with him as he sleeps. I’m jealous. 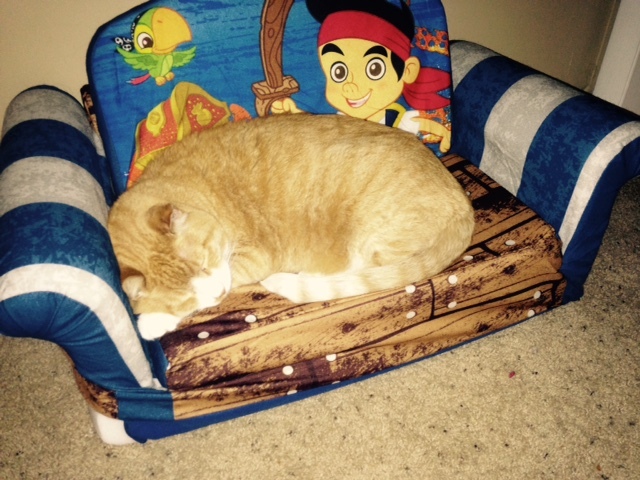 Here Rusty is sleeping and laying on a Jake & The Neverland Pirates couch that our oldest son recently got for his birthday.